River Birch Clump This tree is an ‘Idaho Preferred’ Plant. for. Plant as a specimen, or a windbreak. Plant 20’ apart in the row. It is excellent in wet soil and likes to be planted in full sun to lite shade. River Birch trees are beautiful in the summer and winter, are widely adaptable, and heat tolerant. 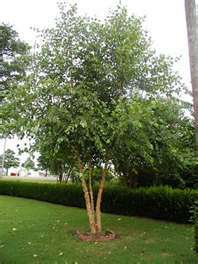 River Birch is deer resistant and is a native tree in our area.